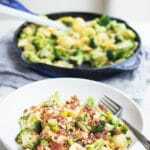 Broccoli and Lemon Orecchiette is maybe what you might make for dinner when your broccoli-hating all-round-brassica-loathing husband is out again at his 5th of 15 Christmas functions while you’re at home looking after the kids because you have a rather sad and miserable social life with only one Christmas function. You also may like to book into the local nail salon to get your nails done because, well, you deserve a treat after looking after the kids and you can’t remember how long ago it was since that one time you got your nails done, and you might like to put on those old trackies that your husband calls ‘practical’ and eat lots of maple walnut ice cream while watching re-runs of Downtown Abbey and Gilmore Girls (although you husband is actually strangely enough more of fan of Gilmore Girls than you). Just saying…it might be something you might like to do. 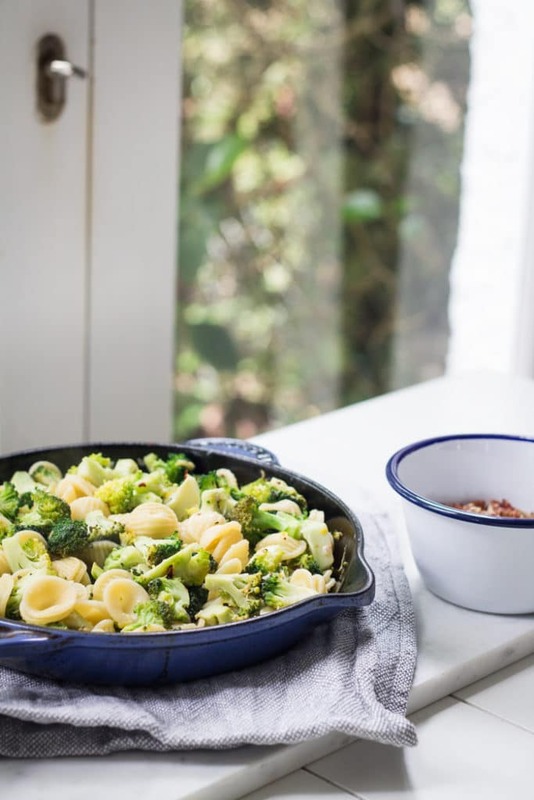 This Broccoli and Lemon Orecchiette pasta is a broccoli overload, in a good way broccoli’s the star kind of way, not the bad I need to eat more veggies so I’m just loading up on boring steamed veggies kind of way. 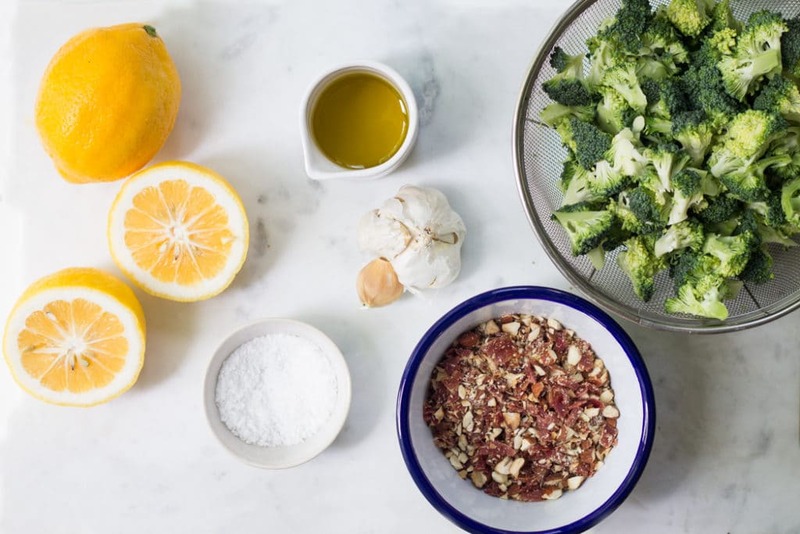 It’s healthy and fresh with all the delicious broccoli and zesty lemon. It’s salty with the creamy parmesan cheese and crispy baked prosciutto and it’s crunchy from a sprinkle of nutty toasty almonds. 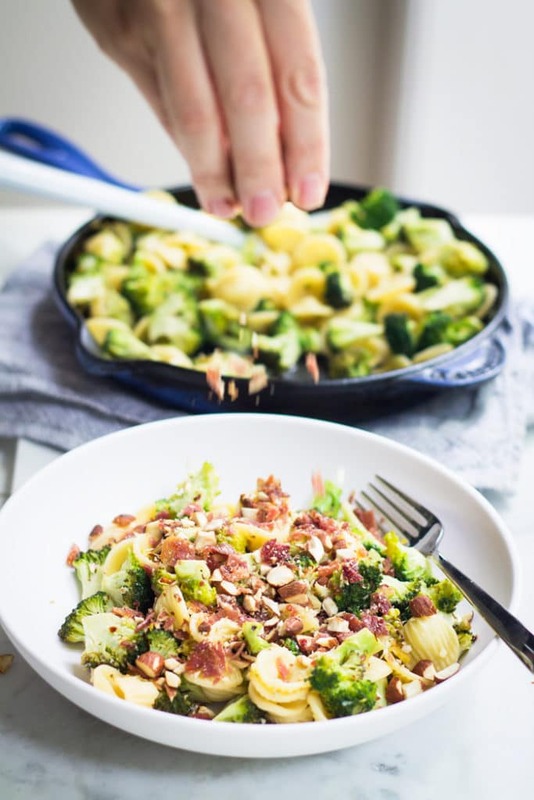 Not to mention this is such a super speedy meal to make you can whip it up on a week night or have the energy to make it when it’s just you at home after you’ve put the kids to bed. If you are just making it for one you can half the quantities and make two serves having one for dinner and saving the rest for lunch the next day as a cold pasta salad. 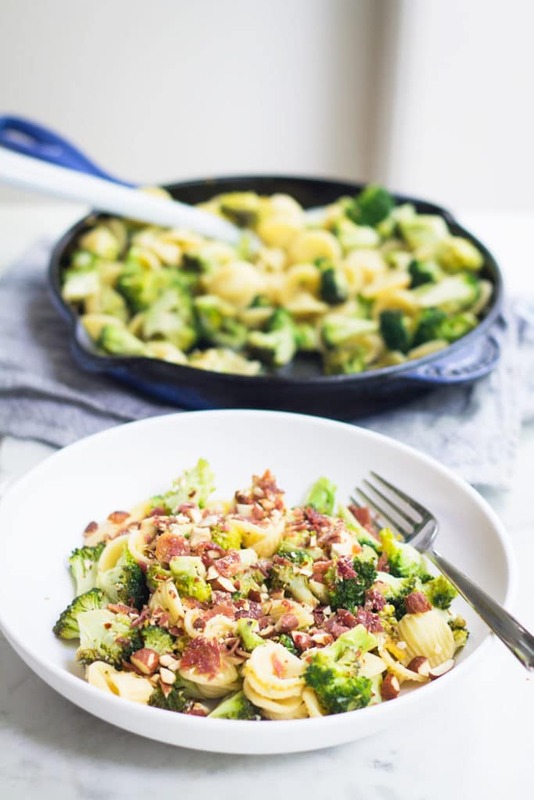 When it’s in season I love to sub out the broccoli with a little fancy broccolini and when I’m on a budget I sub out the prosciutto for regular old bacon but I recommend if you’re using that, you cook it under the grill (broiler) in the oven and leave it for a bit longer until it becomes crispy. I’ve got some serious broccoli plans tonight…so sad. Anyone want to invite me to their festive party? 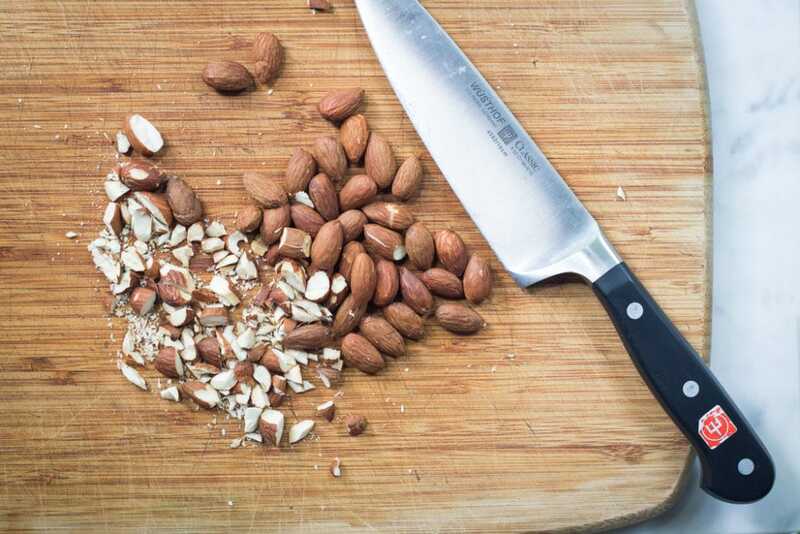 Scatter almonds on a baking tray and bake for approximately 5-10min or until you can start to smell their aroma and they are browning slightly. Keep a watchful eye on them as they can go from brown to burnt very quickly! Remove from oven and when cool enough to handle chop into small pieces. Set aside. Line baking tray with baking paper and place slices of prosciutto flat on the tray. Bake for 8 min or until almost crisp. Remove from oven and allow to cool at which point the prosciutto will crisp up. Once crisp, chop into small pieces and set aside. Bring a big saucepan of salted water to the boil and cook orecchiette according to the directions on the packet until al dente. Reserve 1/4 cup of the starchy cooking water then drain the pasta. 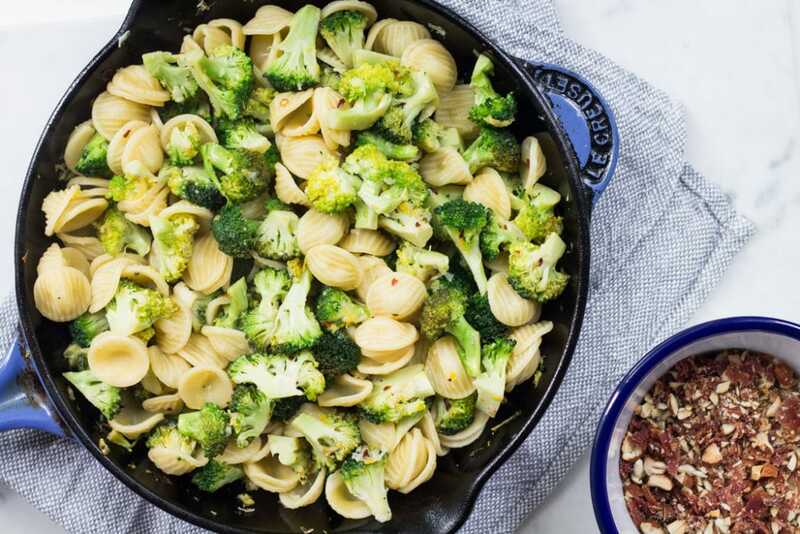 While the pasta is cooking, saute the broccoli. Add olive oil to a frypan over medium to high heat. Toss in the broccoli and cook for 3-5 min, stirring regularly, until starting to go tender. Add the garlic and chilli and cook for a further 2-3 min. Adding the garlic at this point will help prevent it from burning and becoming bitter, but keep a watchful eye on it just in case. 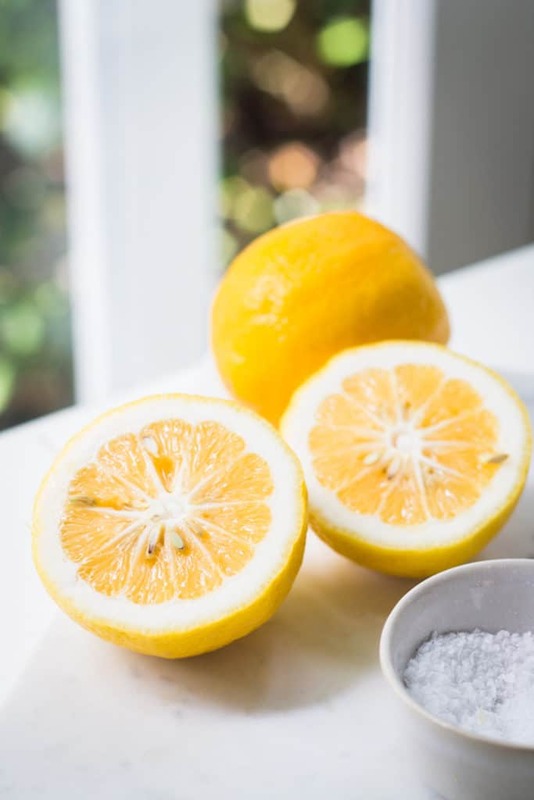 Add the pasta, lemon zest and juice and cooking water back to the pan. Stir to combine then remove from the heat. 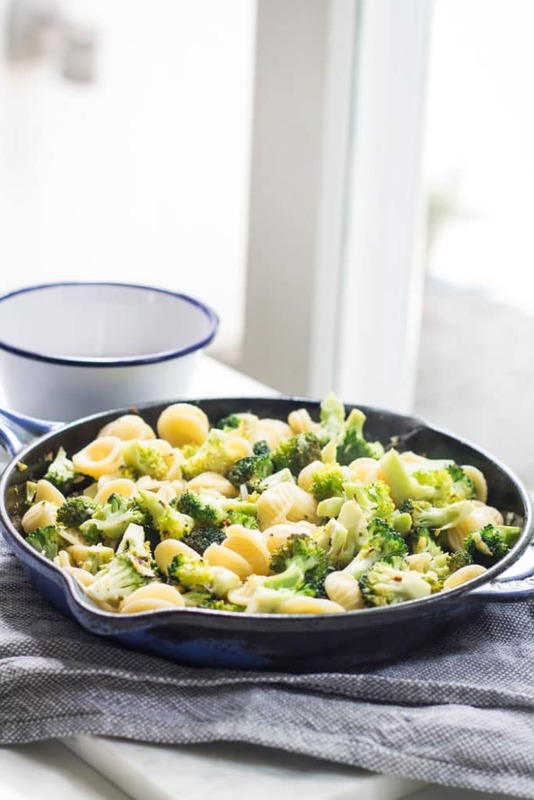 Stir through the parmesan cheese and divide among four serving bowls. 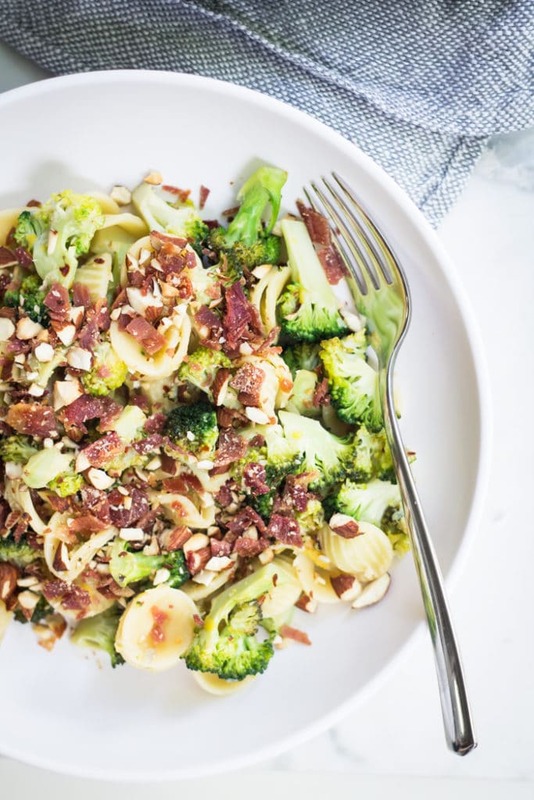 Sprinkle over almonds and prosciutto and serve immediately. 1. It is nice to sub in broccolini for the broccoli when it's in season. 2. Feel free to use bacon instead of prosciutto if you want to keep the cost down. Just cook it under the grill (broiler) and it will take a little longer to crisp up than the prosciutto, depending on the thickness. Vegetarian: Do not add prosciutto. Dairy-free: Do not add cheese. this looks delicious Kate!! and right up my broccoli-loving alley! 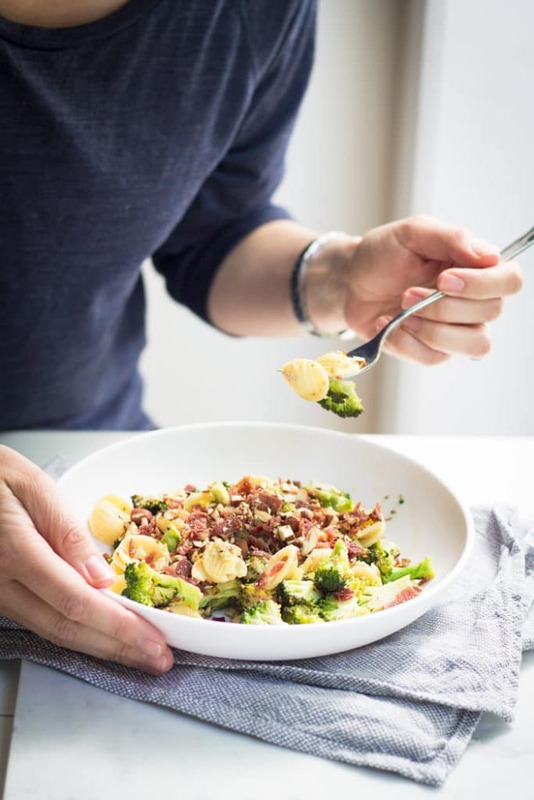 How can anyone not like broccoli… especially when you add prosciutto? Looks amazing and perfect for a girls night in. I know right? Here’s a high five to you, my fellow broccoli loving friend! I do think there might be something seriously wrong with my hubby…eeek.